The Monorail is a nice, relaxing trip. Here the Tron Monorail is over at Epcot! Hello everyone! Welcome to #Day20 in our #DisneyWorldCountdown! Today we are taking a look at one of the fun free activities that you can do — take a ride on the Monorail! The Monorail for me is a nice relaxing transportation mode, and when you need to just get off your feet for a while, this is definitely one way you can do that. 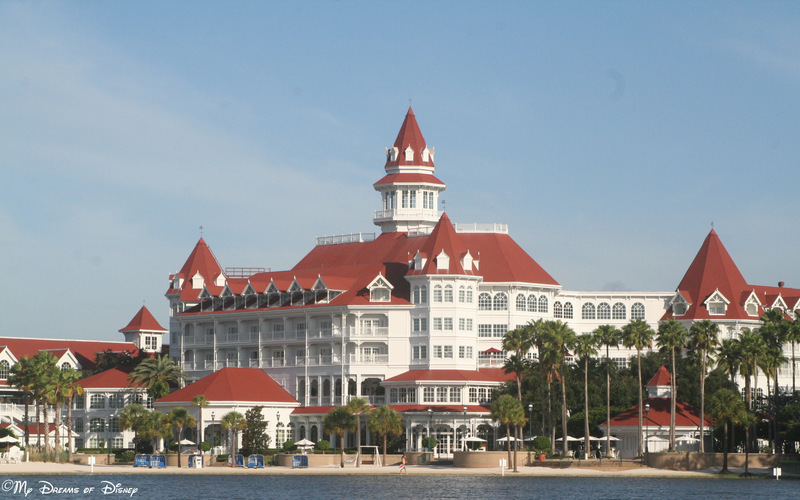 It takes you around the Magic Kingdom resorts, with stops at the Magic Kingdom, the Contemporary Resort, the Transportation and Ticketing Center, the Polynesian Resort, and the Grand Floridian Resort. Also, at the TTC, you can ride over to Epcot and back. 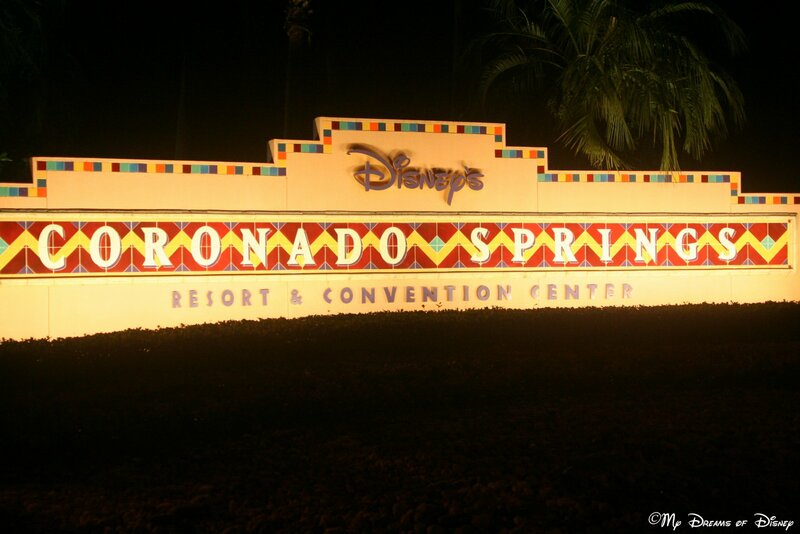 The Monorail also has the distinction of going through the Contemporary Resort! 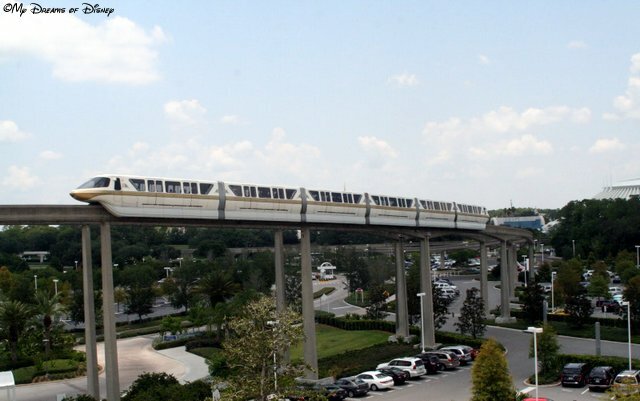 I remember when I first went to the Magic Kingdom, and what was really neat to me was how we got on this futuristic train, almost like a rocket, and left Florida behind as we approached the Magic Kingdom. The anticipation, knowing that we were getting close to Disney World, as we called it, was so much that I can remember it like it was yesterday. 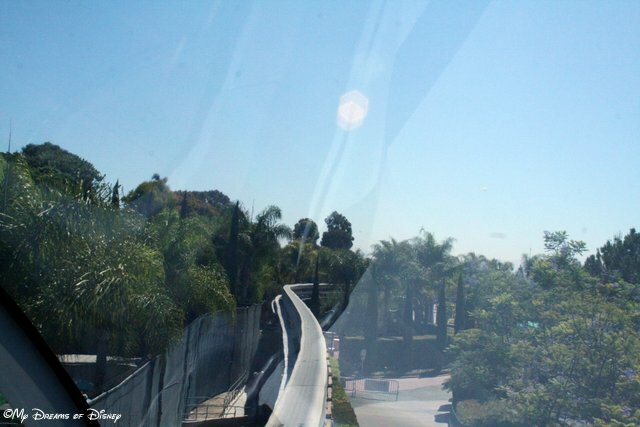 Over at Disneyland, you can still ride in the front of the Monorail. I wish we could at Walt Disney World too! Of course, Disneyland has the Monorail also, although over there it is more of an attraction and less of a transportation means. The Monorail there only connects Downtown Disney with Tomorrowland, but what is neat is that you can still sit in the front of the Monorail there! What do you think of the Monorail? Worth it, or just use it as a means of transportation? 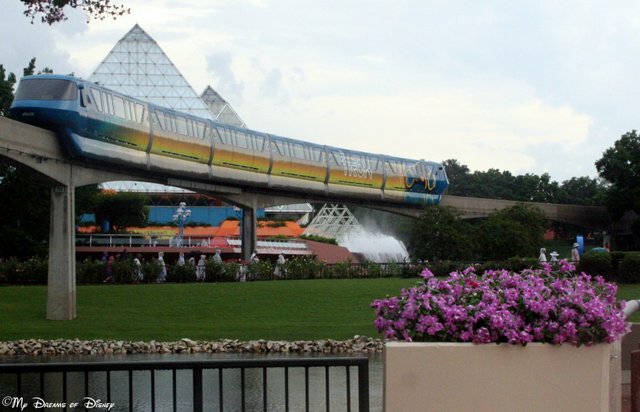 Do you take time out to just ride the monorail, or is that wasted time that could be spent at the parks? Let me know in the comments, and thanks! 28 Days: The Grand Quest at the Grand Californian Resort! At the Grand Californian Resort and Spa, there is a resort activity that is just up our alley, and is something that I think we will check out one day. I am referring to the Grand Quest Scavenger Hunt. Starting at Guest Services, where you check-in and receive your instructions, the Grand Quest takes you around the resort, looking for clues and secret answers in this scavenger hunt. Designed for resort guests with children aged three to twelve, the Grand Quest is something that I think we are going to find the time to do during one of our non-park days. At the end of your quest, your young adventurer will receive a special treat. I will let you know what we thought of the Grand Quest — and what the treat was — when we complete the quest! For now, though, please let me know if you have done the quest, and if so, what did you think of it? Let me know in the comments, please, and thanks for stopping by! Welcome to those of you joining me from Growing Up Disney and those of you just hopping aboard. I am the 4th stop on our Magical Blogorail. Hello everyone, and thanks for joining us this month on the Magical Blogorail Red line! 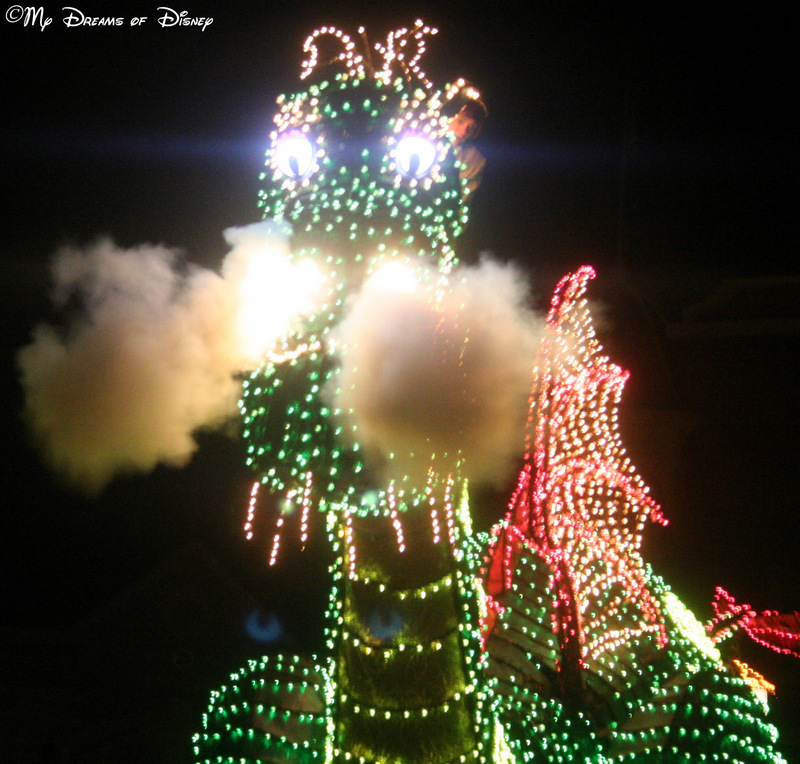 This month we are talking about our best (or favorite) Disney Photo Spots! There are so many locations to take incredible photos at that this one is going to be a tough one to narrow down! 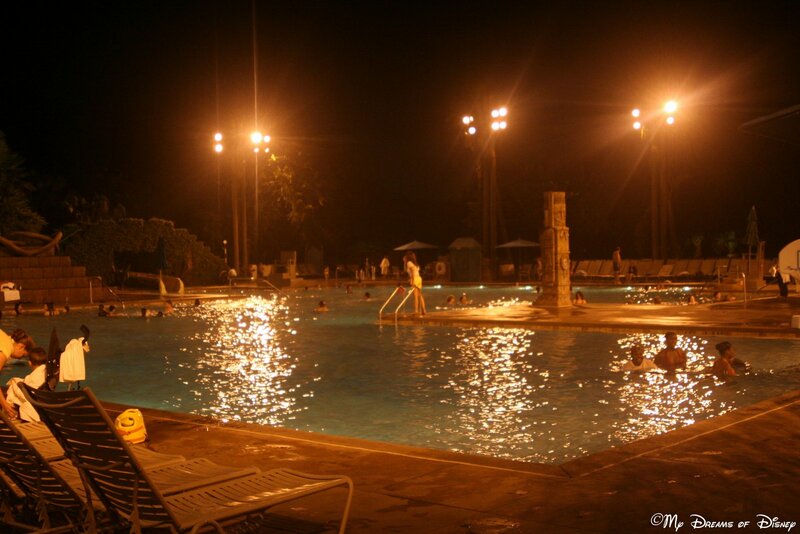 So, as a result, I’m going to share with you several of my favorite spots, and highlight them with pictures! For my first photo spot, I think a trip on a boat makes for some incredible photography. Perhaps my shot here will convince you of that? For this boat ride, we had a date with ‘Ohana for breakfast to keep, but even if you don’t, there is no reason why you can’t hop the water taxi to the Polynesian yourself for a little Resort Hopping! 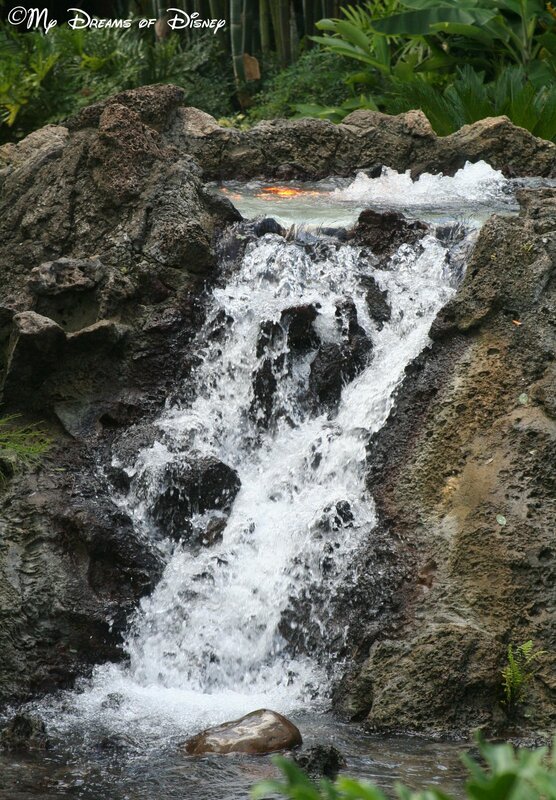 This shot was taken from the water taxi on our way to the Polynesian Resort for breakfast at ‘Ohana! Another place I like to take a picture is right by a parade route. Who doesn’t love a good parade? The beauty of parades is that there can be hundreds of incredible photo locations — for me, though, I seem to get my best pictures in Town Square. Perhaps you like these? 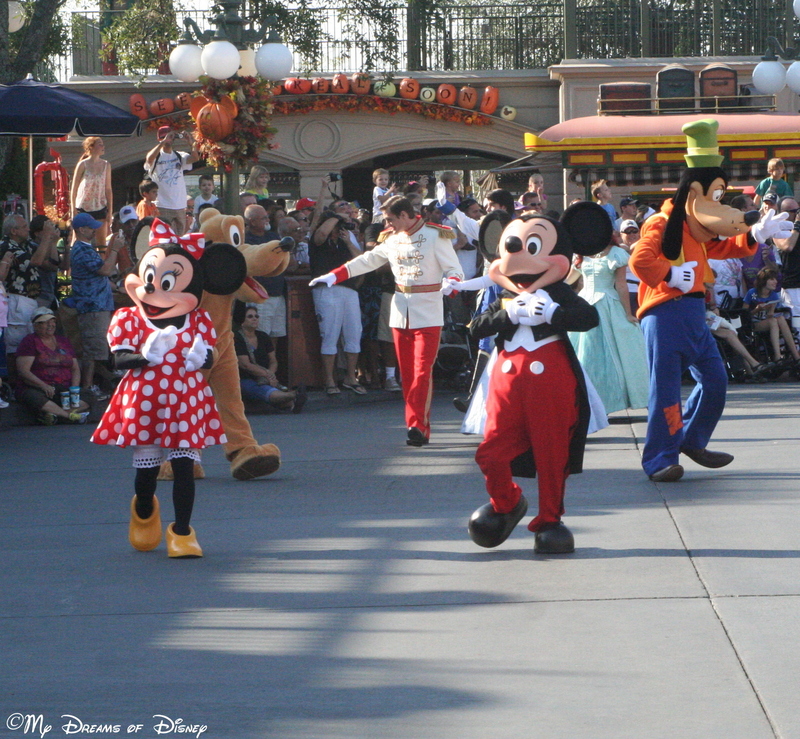 Mickey & Minnie walking around Town Square in the 40th Anniversary Opening Day Parade, October 1, 2011. As you know, though, boats and parades aren’t the only things to photograph at Walt Disney World. Some of the best shots are simply candid shots, when those being photographed don’t realize that it is happening. Such was the time when we came upon Princess Jasmine in Morocco of Epcot’s World Showcase. Sophie had literally five to ten minutes of Princess Jasmine time because she and the Genie had just come out, and no one else was there. 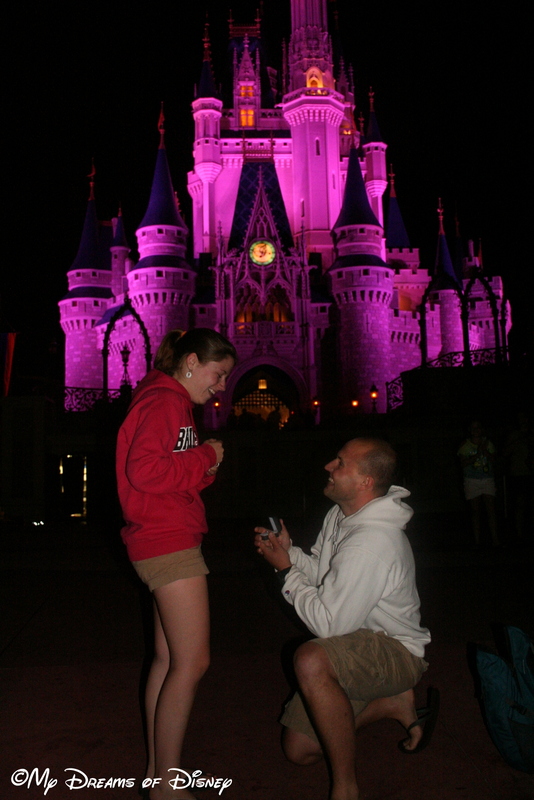 It was truly a magical Disney memory, and the picture just sums it up best. 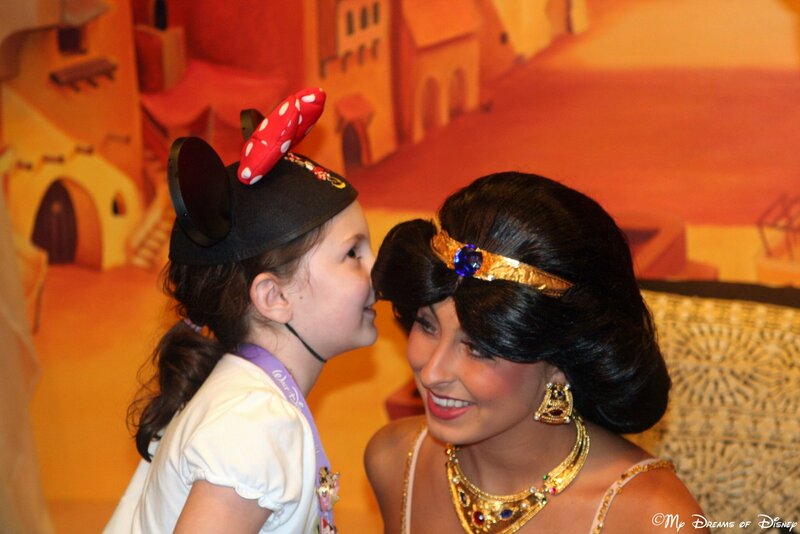 Sophie whispering to Princess Jasmine how she was going to buy a Princess Jasmine costume during this trip. That was the only souvenir she wanted! One great photo spot, that unfortunately isn’t around any more, is the love seat in Minnie’s Country House, in what used to be known as Mickey’s Toontown Fair. While that land is no more, the memory of Sophie with her Meemaw remains, and I’m sharing it with you now. 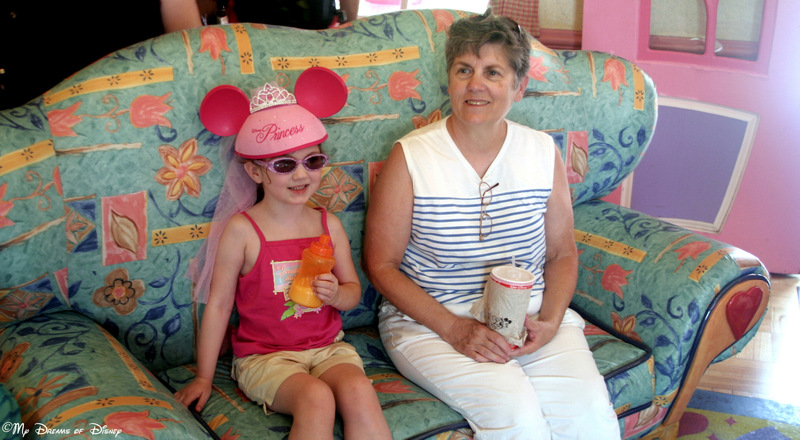 Taken when we took Meemaw to Disney, August 1, 2006 — almost 7 years ago! Have you ever had your picture taken at a block party? I’m sure many of you have had that happen over at Disney’s Hollywood Studios. 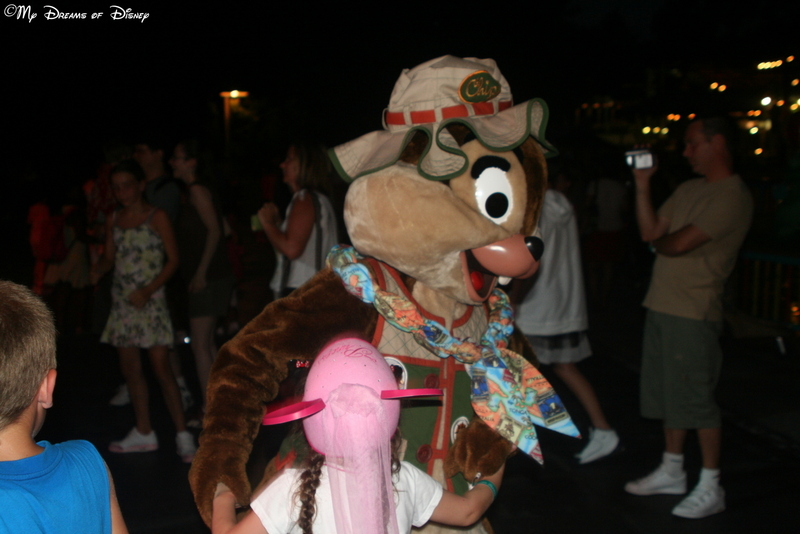 But how many can say they danced the night away with Chip over at Disney’s Animal Kingdom? Sophie can! Dancing at the block party at Disney’s Animal Kingdom during rare evening Extra Magic Hours. Of course, sometimes the best photo spots are when you are just relaxing in Epcot’s World Showcase, at the tables in front of the American Adventure pavilion. Hey, who put that picture in here? Oh, you know what? I hear getting your picture taken in front of Cinderella Castle can be kind of neat. Tell me, what do you think? I love you two! Shane, thank you for being Stephanie’s Prince Charming! 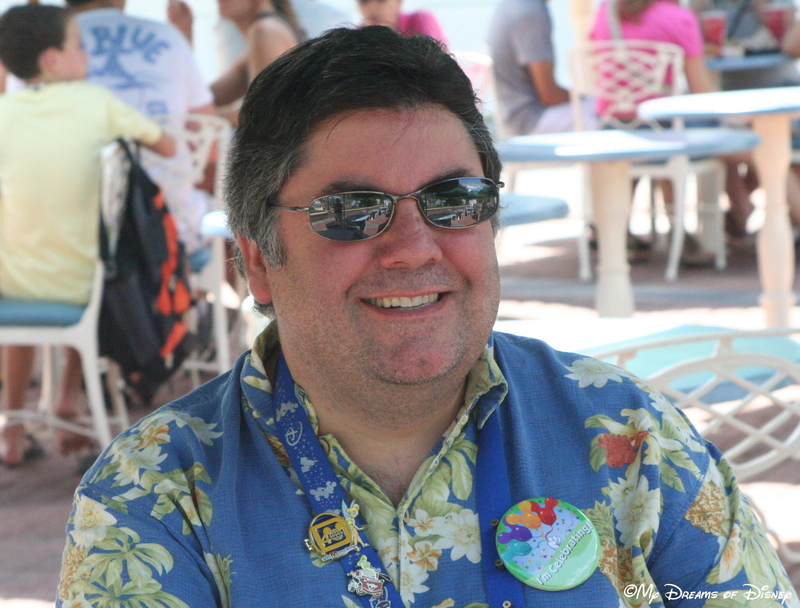 I hope, in a roundabout way, that I have answered the question of where the best Disney photo spots are. The truth of the matter is that wherever your camera is pointed is where the best photo spot is! These pictures bring a smile to my face, and in some cases, a tear to my eye, as I remember the wonderful memories that these pictures remind me of. Thank you for indulging me as I took my trip down memory lane! 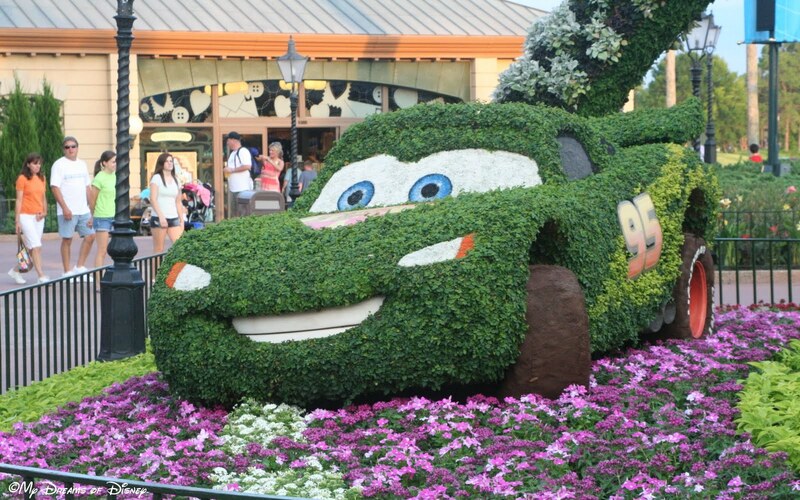 The 2013 Epcot International Flower & Garden Festival runs from March 6 – May 19, 2013, and is one of the special events that you can visit at Epcot. Featuring incredible flower displays all throughout Epcot, along with special events and guests, the Epcot International Flower & Garden Festival is a highlight for many people in their Disney Vacation plans! 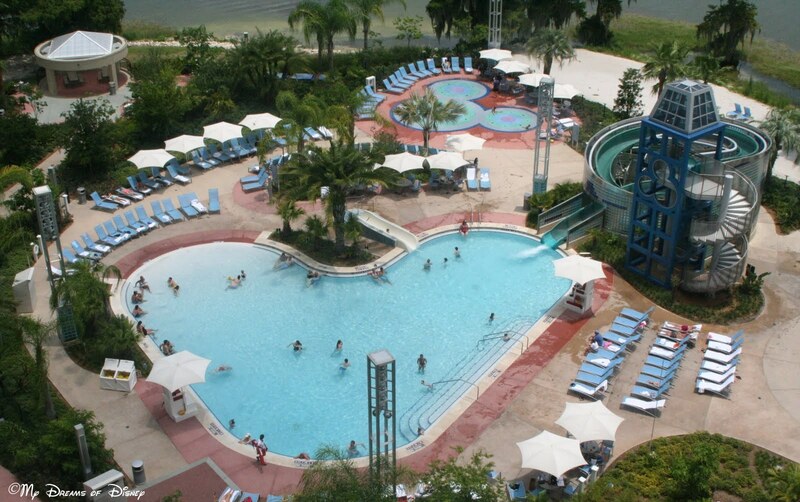 Additionally, you will receive Magic Your Way tickets, Disney’s Plus Dining, and a free Disney Water Park or DisneyQuest ticket for each person of your party. If you are interested in booking this trip, you have until March 7, 2013 to do so, so don’t delay! 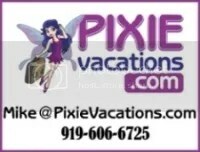 You can call me at 919-606-6725, email me at Mike@PixieVacations.com, or you can go to the Pixie Vacations website and request a quote. It’s that simple!